ABLE are the exclusive UK distributor of HYL Series fibre optic lighting systems, which have been designed to provide efficient, high output tungsten-halogen light in a cost effective package. Conventional methods of lighting through a sightglass are ineffective since a majority of the light is reflected off of the sightglass. Canty uses only high quality, flexible fibre optic light pipes to fibre-optically guide the light from our light source through a sight glass or process connection. 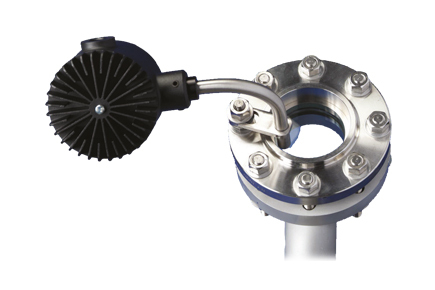 The light is elliptically focused into the fibre optic light pipe and guided through the sight glass, minimising losses while maximising your tank or vessel lighting.